Total distance: about 14 kilometers (a bit over 8 1/2 miles) with 700 meters (2100 feet) of elevation gain. I'm guessing a bit on the distance because the road walk is longer than the normal wooded route. Woke up this morning to another two inches of snow - I'm guessing a total of four inches fell since yesterday morning and it snowed all day today as well. I figured four inches in Valcarlos equals 8 inches higher up near Ibaneta Pass, so we made the decision to stick to the road instead of going the normal route through the woods. I bought three chocolate bars and a block of cheese to make the road walk more palatable. We shared the albergue with a wonderful, jovial Swiss fellow named Flo. He was our only company. We walked much of the road with him today. ...then we saw Hugh off in his taxi and headed towards Roncesvalles. I thought Flo left his gloves in the bar, since there was a strange pair on the table where we'd been eating...Flo left before us, so I took the gloves and figured I'd give them to him when we caught up with him. Turns out they aren't his...so it looks like I stole some gloves by mistake. I'll leave them at the pilgrim's office in Roncesvalles. I am very sorry, Gloveless Peregrino, whoever you are!! 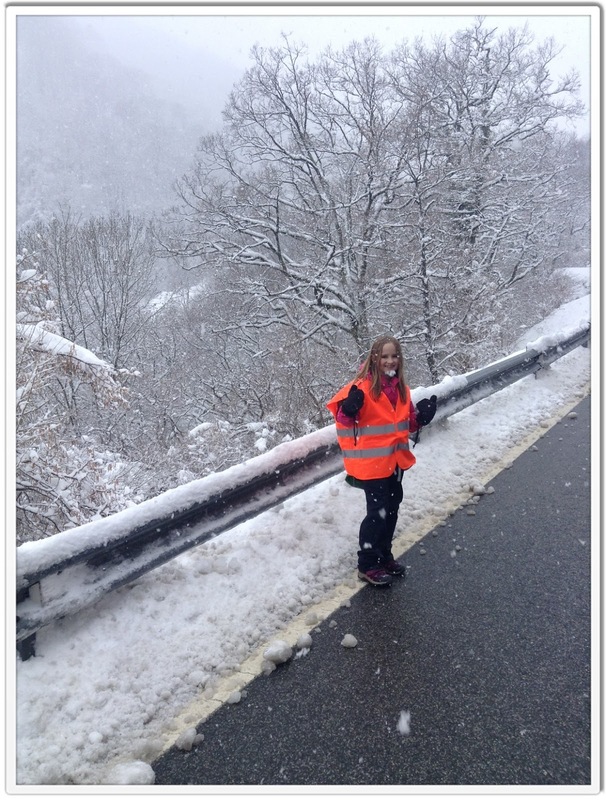 Here are the photos of our road walk from Valcarlos to Roncesvalles. The road walk really wasn't all that bad, by the way. The grade was always gentle - to you NH folks, think of the winter Carrigain road walk for nine miles instead of two. It never got steeper than that, and the views were lovely (when we had views, that is). As you can see, Roncesvalles is still under quite a bit of snow! Probably at least a foot (1/3 meter or more). 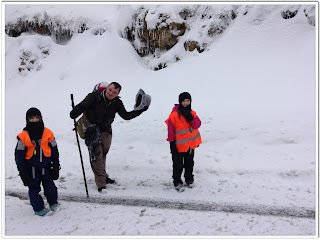 The girls and I checked into the albergue (Flo continued toward Zubiri). The room they use for winter is small but warm. There are no blankets or kitchen facilities, but there are several showers and everything is clean. The cost is only 6 Euros per person. Next, we found Hugh at the Hotel Roncesvalles - which is very, very nice! The manager told us we could stay in Hugh's room at no extra cost - again, I think the presence of the girls got us an unexpected discount - so we gave our spots at the albergue to other incoming pilgrims. 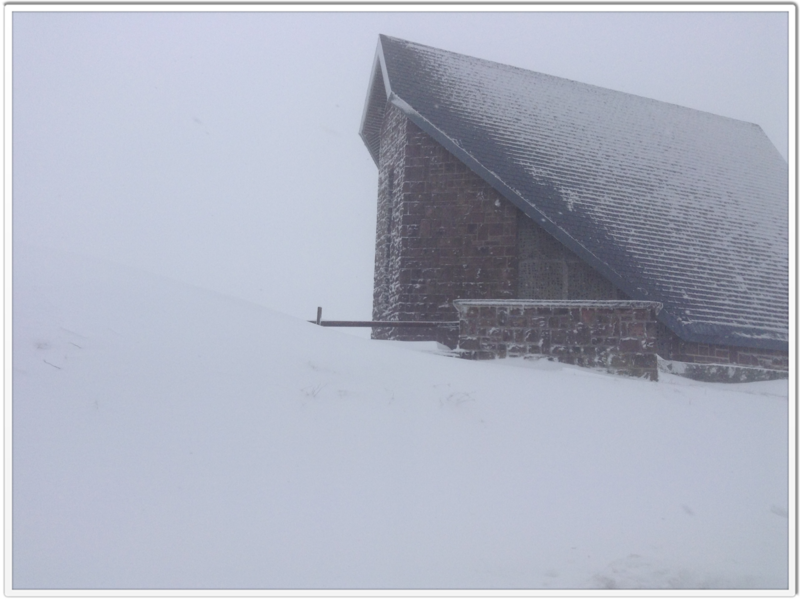 That albergue will probably be full tonight - lots of pilgrims out there! Hugh told us that all the people we met at SJPP who went all the way to Roncevalles in one day yesterday took the bus to Zubiri this morning! I think they might have done too much too soon. I'm very glad we stopped in Valcarlos. We will walk the Way tomorrow and Hugh will bike....but it will be very "interesting" in all this snow. The girls are doing well and they thought the hike today was easy. It was nowhere near steep and we were all expecting it to be far more difficult than it was. 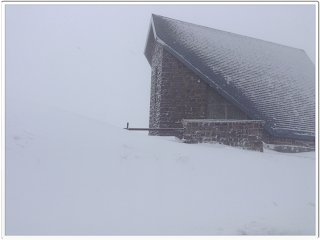 Again, though, to those who are reading this who do not know us personally, we are used to hiking mountains in all seasons...10-15 miles at a time with 3000-5000 feet of elevation gain, in subzero (F) temperatures and blowing snow. Compared to what we usually do, this was a breeze. If you are tackling the Camino with little to no real hiking experience, then this may not feel easy to you. Please don't think, "If it is easy for those girls than it will be easy for me." Alex and Sage are both experienced mountain hikers and they are very used to these conditions. ...then we will take showers and go to bed. Tomorrow's hike will be quite the epic journey...the snow hasn't stopped falling in Roncesvalles and there will probably be another three or four inches on the ground before we leave. Thanks for all the comments on my blog and on my Facebook Page, folks! We are reading all of them and I am sorry I don't have time to respond to each one individually. Remember that I can often post pictures on Facebook faster than I can write a blog post, so visit www.facebook.com/PatriciaEllisHerr if you want more frequent information. Today's thank you goes to the Portsmouth Brewery in NH. They are still donating money to Global Fund for Women through their Tuesday Community Pint Nights, so visit them if you live in NH or MA and have a pint for us! Well done ladies. I hope the weather improves. Glad that all is going well! Trish, quick question, if you skip a section like the pilgrims who took a bus to Zubiri does that void the trek? 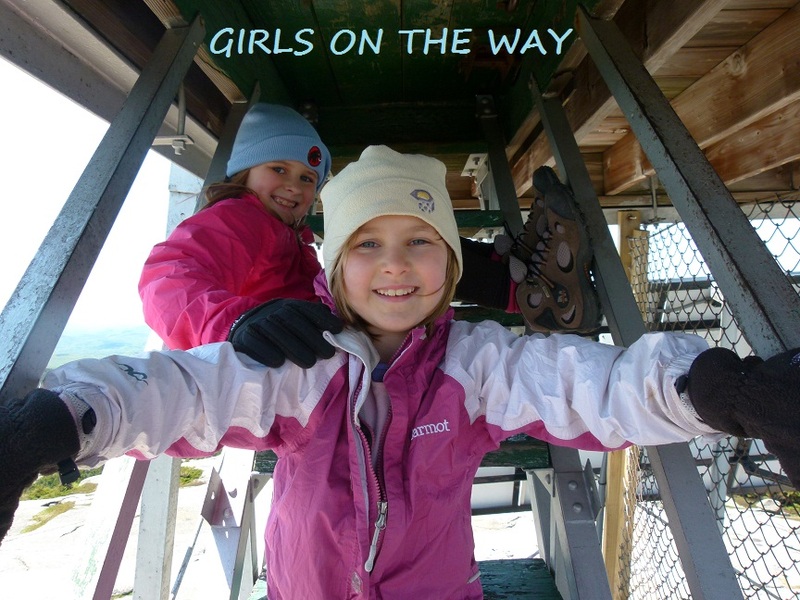 I enjoy reading this blog very much and am inspired by the trip you and the girls are taking. Buen Camino!